Hockenheim / Zwenkau – November 14 2015. 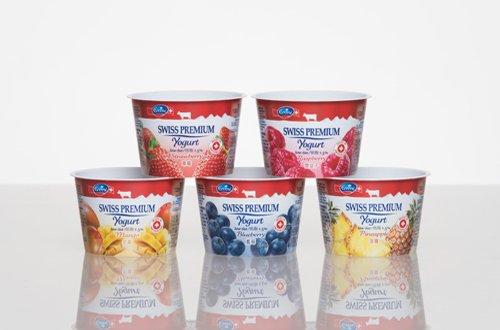 Swiss yoghurt is becoming a top seller in Asia and the Middle East, whether it is pineapple yoghurt in Asia or strawberry flavour in the United Arab Emirates. The Emmi Group headquartered in Lucerne, Switzerland relies on Sonoco’s in-mould labelling (IML) solutions to pack its about 50 different yoghurt varieties and flavours. These high-quality packages are produced using thin-walled injection techniques and replace the previous deep-drawn cups with self-adhesive labels. Emmi is the largest milk processor in Switzerland with some 5,300 employees (adjusted for part-time working) and is one of Europe’s premium dairies. In its home market, the company focuses on the development, production and marketing of a full range of dairy and fresh products as well as the production, ageing and trade of primarily Swiss cheeses. Outside Switzerland, Emmi concentrates on brand concepts and specialities in European and North American markets, and increasingly on emerging markets outside of Europe. Emmi exports its products from Switzerland into more than 60 countries. Every year, Sonoco’s packaging plant located in Zwenkau, Germany delivers several million cups for Emmi Yoghurt to Ostermundigen, Switzerland. Emmi fills about 50 varieties of yoghurt into the 100-gram polypropylene cups. The Swiss dairy exports 9 out of 10 cups to other countries and the trend is increasing. Especially in Asia and the Middle East, the demand for Swiss yoghurt is on the rise. In these markets, detailed information on the products is particularly important – a field in which Sonoco’s IML cups offer key advantages. The all-around designed packages increase the decoration area by 25 percent, offering plenty of space for product information. As with all fresh products, hygiene is also a major issue – one that begins with the package. The thin-walled injection process used by Sonoco ensures a high standard of hygiene. 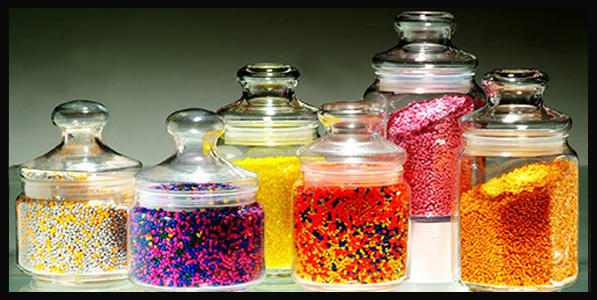 Prior to injection, the granular base material is melted at approximately 200 degrees Celsius, which is an ideal temperature for food packaging. The entire production at the Sonoco site near Leipzig is certified according to the BRC-IoP standard for food packaging and is subject to strict quality management. “Our comprehensive control plan convinced Emmi to contract Sonoco,” says Andreas Rothschink, Sales Director Plastic Packaging, Sonoco. “We utilize multi-level camera inspection technology to match the labels on the bottom with the ones on the banderole and to control positioning accuracy, spiral misalignment and if the sealing edge is fully injected.” Furthermore, highly pigmented sunlight protection labels preserve the product against strong UV-radiation prevailing in many Asian regions. Sonoco produces plastic packages at its Zwenkau plant near Leipzig, Germany as well as in Bradford/UK. Production focuses on cups, cans and oval containers with volumes from 100 millilitres. Sonoco manufactures with high-performance equipment, using the latest tool and robotic technology. The IML process is a relatively new packaging technology and has the main advantage of combining manufacturing and decorating in a single operation. Another benefit is that labels applied during the injection process are usually made of the same plastic substance as packages, so there is no need to separate materials for recycling. Adhesives are unnecessary because both components are melted together during processing. In-mould labelling opens up a wide range of design possibilities for decorating packages, producing outstanding tactile and visual effects, and even highly realistic photographic images. Labels are available with a matt or glossy surface, and they provide additional product protection against UV rays and light. These types of labels can be printed using either offset or gravure printing.